A highlight is a video segment from a past stream. You can see recent highlights made by the people you follow by going to http://www.twitch.tv/directory/following and scrolling down to “Most Recent Videos”. Why Should I Make Highlights? Highlights are quick preview of your channel. Let’s say someone finds your channel when you are offline. To learn more about your channel, they will read your panels and watch some of your content. If you have many videos that are hours long, where should they start? They will pick a recording randomly, click somewhere in the middle, then watch for a few minutes. Alternatively, if you have highlights made, you decide what people watch. You pick your best moments and put them on display. Lots of short, targeted videos are a great start for someone new to your channel. No picking through hours of video! Also, when you highlight regularly, your followers can see what they have missed. Seeing highlights from you will remind them to stop by your channel more often! Your highlights show up in Twitch’s search directory. You can also export your highlights to YouTube, giving your channel even more exposure! All-in-all, highlights are a under-appreciated tool that you should utilize to gain more channel exposure and visitation. Making highlights is very easy since it is built into Twitch. First, go to your Video Manager on Twitch. Then select the past broadcast you want to highlight, click “highlight”, and go from there. When making your highlight, remember that people prefer to watch live video over a recording. Therefore, shorter highlights will get more views and attention than long ones. Try to keep your highlights under 2 minutes. 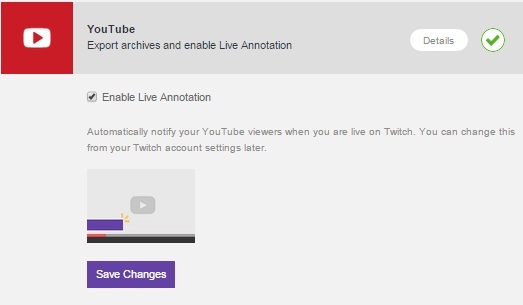 Recordings of your stream used to be saved on Twitch forever. However, Twitch changed it so that now recordings are deleted automatically after two weeks. That means you only have two weeks to highlight a stream that you did, before it is gone forever. Don’t put it off too long! Highlights are separate from your stream archives. Any highlights that you make will not be deleted automatically. They will stay on your channel forever until you delete them. You can easily export your highlights to your YouTube channel by connecting your Twitch account to your YouTube account under your Twitch settings. 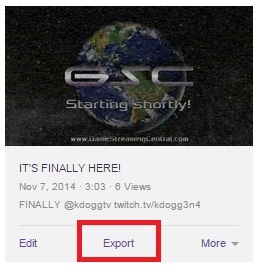 When you make a highlight, it will present you with an option to export your new highlight to YouTube immediately. If you don’t do it immediately, you can do it later by going to Video Manager -> Highlights, then clicking “Export” on the one you want to export.